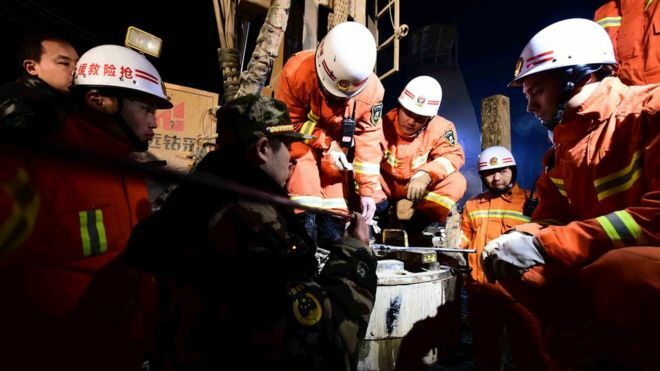 Eight miners trapped for five days after a mine in China caved in have been found alive, state media say. Reports say rescue teams have not yet been able to free the survivors, but have made contact and sent in supplies. The rock fall at the gypsum mine, in the eastern province of Shandong, was so violent that it registered at China’s earthquake monitoring centre. Nine miners are still missing. Seven have already been rescued and one is known to have died. 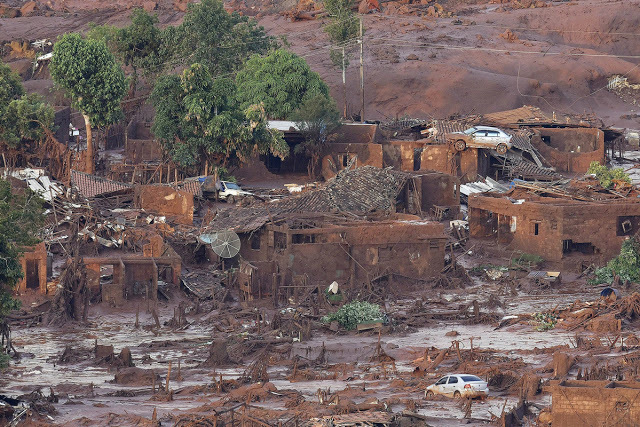 Rescuers used infrared cameras to peer into darkness at the wrecked mine. The cameras detected the surviving miners waving their hands. The workers were weak with hunger but otherwise were in good health, state media reported. They told rescuers they were in passages underground that were intact. Ma Congbo, the chairman of Yurong company which owns the mine, drowned himself by jumping into a mine well early on Sunday, China’s Xinhua news agency said. His motive was not clear but the Chinese authorities have toughened punishment of employers who are seen as negligent. China has a long history of industrial accidents. The latest incident comes days after a landslide caused by construction waste in southern China left dozens of people missing and presumed dead. The nation’s mines have long been the world’s deadliest, but safety improvements have reduced deaths in recent years. Last year, 931 people were killed in mine accidents throughout China, significantly fewer than in 2002 when nearly 7,000 miners were killed. 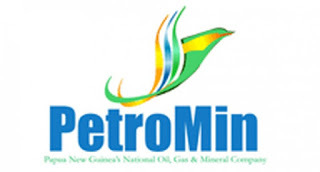 PETROMIN says it has no knowledge of any “discussion” between PNG Government and Rio Tinto over the Bougainville Copper Ltd. But managing director Thomas Abe said the government had the prerogative to enter into such discussion. He was asked whether the State-owned mineral company Petromin was aware of a reported discussion between Rio Tinto and the Government for the latter to buy the State’s 53.83 per cent share in the Bougainville Copper Ltd for $100 million. “I am not aware of any discussions between Rio Tinto and the PNG Government,” Abe told The National. “That is the prerogative of the National Government. “We are currently operating as Petromin. ABG President Dr John Momis has recently spoken regarding the discussion between the Government and Rio Tinto. Momis when addressing the ABG House of Representatives said that he had been approached by several senior government officials including Prime Minister Peter O’Neill to discuss the matter. Petromin chairman Sir Brown Bai said the company was usually invited by the Government to become party to such discussions. But he said he had no knowledge of the discussion. Attempts to get comments from the Department of Mineral Policy and Geo Hazards Managements were unsuccessful. Bougainville Copper Limited is an Australian copper, gold, and silver mining company that operated the Panguna open cut mine on the island of Bougainville. AUSTRALIAN Miner Newcrest has confirmed operations at Hidden Valley in Morobe Province, are returning to normal. This was from the PNG country manager Peter Aitsi, who was responding to reports that had surfaced of a shutdown on site. While this report was neither confirmed nor denied Mr Aitsi did however confirm that as of December 10 the company had begun using the long haul road, which had been closed. “I can confirm that as of December 10, we were able to start using the long haul road for Hidden Valley – so essentially the mine is returning to normal operations,” he had stated. Mr Aitsi had explained that the stoppage in the use of the road had come about as a result of a fatal accident which had occurred along this access road. “A sub-contrator tow truck involved in recovering a broken down prime mover had lost control and crashed,” he said. Reports are that the worker had died. He said the Hidden Valley Joint Venture and Mineral Resources Authority inspectors had conducted an investigation in November into the accident and the road access had been closed off to heavy vehicles. This was under the directive of the MRA inspectorate branch. “We have worked closely with the various sections of MRA to resolve the identified safety improvements and as of December 10, heavy vehicles were once again able to use the road,” Mr Aitsi said. Meanwhile, Newcrest chief executive officer Sandeep Biswas said in the sustainability report released recently, had reiterated the company’s vision to be the “miner of choice” in leading the way in safe, responsible, efficient and profitable mining. Mr Biswas had reported fatalities both at its Hidden Valley and Cardia operations adding that this had been a source of profound sadness to the mining firm. Catastrophic mine spills have been in the news frequently enough that we are devoting a few articles to cover some of the problems plaguing existing mines and posing serious concerns for new and proposed mines like Pebble in Alaska, Red Chris in British Columbia, and NorthMet in Minnesota. In this post we’re only covering impoundment failures from metal mines and ore processing facilities (we’ll get to coal slurry and coal ash later, and we’ve already written about abandoned and inactive mines). The litany of mine impoundment disasters around the world is a grim one. 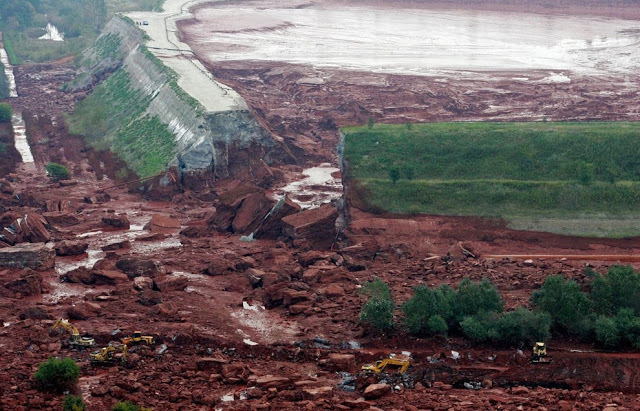 This year saw the Fundão tailings dam failure that killed at least 13 downstream of the Samarco iron mine in Minas Gerais, Brazil. If a mine can discharge 10 million cubic meters of polluted water and toxic mine waste into the environment, turning a quiet stream into a moonscape, and yet not have broken any rules, one must wonder if the rules and/or regulators are up to the task. Looking further back to 2010, a tailings dam failed at an alumina plant in Hungary, killing 10, injuring 150, and turning the “blue” Danube River a sickly, toxic red. A slight silver-lining, however, is that the downstream town of Devecser has risen from the sludge to become a model of green living and sustainable energy. Unfortunately, this list only recounts some of the more notorious disasters that reached the international press. 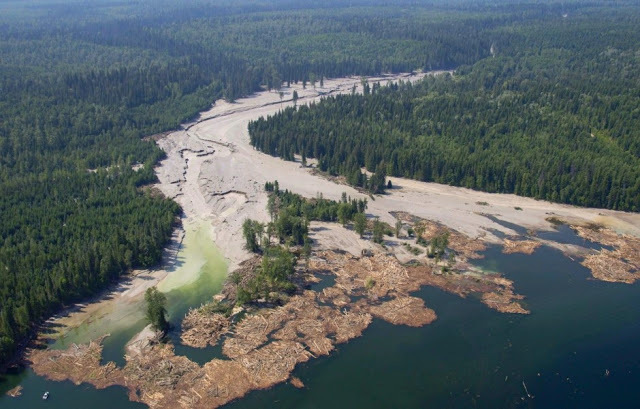 For a more complete record of significant mine tailings dam failures, the World Information Service on Energy has complied a list of over 80 major non-coal spills since the 1960’s. 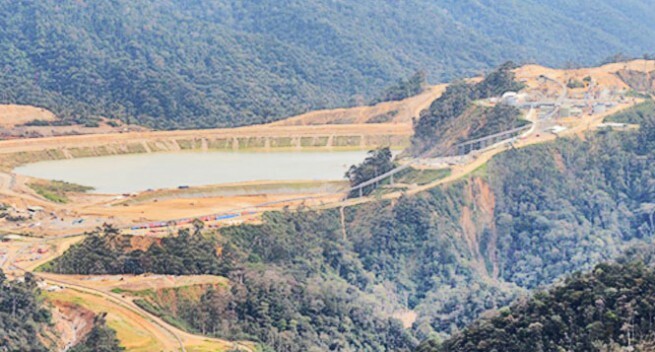 Yet every time a new mine is proposed, even when the dam would be taller than the Washington Monument, we are reassured that this time we have the technology right, this time the dam won’t fail, and this time the environment will be left just as it was before we mined it. There are techniques, such “dry-stacking“, which are safer than conventional wet-tailings impoundments, but they are also more expensive. So unless the public and regulators demand that mines employ better practices, it seems we will have to keep reliving this story, year after year. ABG President, John Momis says that he is very concerned at the discussions been held between Rio Tinto and the Papua New Guinea Government to purchase RIO’s 53.83 percent shares in BCL for ONE HUNDRED MILLION US DOLLARS. In his address to the ABG House this week [see below for the full text], President Momis said that he has been approached by several senior National Government officials including the Prime Minister, Peter O’Niel [sic] the last time during the December’s JSB meeting in Kokopo. President Momis said that the people of Bougainville must be assured that the ABG has made no deal with PNG. Instead we are putting a very strong Bougainville position to both PNG and RIO that environmental clean-up is now the key issue and that if there is any transfer of RIO’s shares, it must be to Bougainville. President Momis said that the minerals in Bougainville belong to Bougainvilleans as our blood has been shed over those Panguna Minerals, yet PNG wants to buy RIO’s shares so that it can own Panguna and its minerals. • making sure that small-scale mining in Bougainville is legal if it’s done on the miners own land or with permission of landowners. In 2014, Bougainville’s Mining (Transitional Arrangements) Act took away all BCL mining tenements under the PNG Mining Act. Soon after, in August 2014, Rio Tinto, the majority shareholder in BCL, announced a review of its investment in BCL. Since then, it has become very likely that Rio Tinto will end its BCL investment. • interference in Bougainville mining matters by a wide range of outside interests seeking to get access or control for their own benefit. All these things make the high cost of re-opening Panguna – over US$6 billion – very difficult for Rio Tinto to seriously consider. It is also clear that those same issues of commodity prices and uncertainty about the political future mean that there’s now doubt whether any other responsible developer can find the money needed to re-open Panguna. As a result, over the past two years, the ABG has increasingly been questioning whether it’s possible that Panguna will re-open in the foreseeable future. But at the same time, over the past two years, the PNG National Government has made a series of efforts to purchase Rio Tinto’s shares in BCL. As the National Government already holds 19.3 per cent of BCL shares, if it bought Rio Tinto’s 53.83 per cent, it would own over 73 per cent of BCL shares. Since first hearing about these proposals in2014, the ABG has opposed them. As President, I have written several letters to the Prime Minister expressing my disagreement. I have made public statements. I have spoken direct to the Prime Minister expressing my strong opposition. I have told him clearly that it is unacceptable to Bougainville for the National Government to be majority shareholder in BCL. Further, the most important issue now is not share ownership, but making sure that a proper clean up occurs and compensation is paid by Rio Tin to before they end investment in BCL. The ABG’s critics accuse us of doing special deals with BCL. They say that the aim of the Bougainville Mining Act is to look after the interests of BCL and Rio Tinto. They say that the ABG is controlled by Australian advisers acting in the interests of Rio. Some pamphlets even say the ABG is assisting the forces of Satan!! There are constant allegations, mainly by outsiders, that the ABG is forcing re-opening of Panguna against the wishes of landowners. They say that Bel Kol is a perversion of Kastom, forced on landowners by BCL and the ABG. • Very narrow and twisted political views, including some strange Marxist views that have no relevance to the context of Bougainville. The fact is that the ABG is just trying hard to work with all Bougainvilleans of good will, to protect the interests of Bougainville landowners, and of Bougainville more generally. We have no deals with BCL, Rio, Australia or Satan. We have never tried to force Panguna re-opening on landowners. Instead, we are working hard to find ways to ensure that the Peace Agreement is given full effect. So, Mr. Speaker, I am making this statement to give a clear picture to members of this House of the realities of the situation we face in making decisions about Panguna. All ABG presidents (Kabui, Tanis and Momis) have recognised that both real autonomy and independence will not occur without major new revenue sources derived from Bougainville, and under Bougainville control. All three Presidents have explored possibilities of allowing large scale mining. Although different options have been considered, all three Presidents have considered re-opening Panguna. All three have also always emphasised that Panguna would only re-open if Panguna landowners agree. • Fourth option: Focus on small-scale mining. The main options could gradually be explored at the same time. In relation to Panguna the need to take full account of landowner views was fully acknowledged. We had two main reasons for giving priority to Panguna. The first reason is Bougainville’s need for revenue to achieve either real autonomy or independence. The reality facing the ABG is that options for obtaining significant revenue are limited. Agriculture is undoubtedly important. But with limited land and growing land pressures in many areas, agriculture on its own will clearly never be enough to sustain the revenue Bougainville will need for autonomy or independence. A related issue here concerns the timetable for the referendum, which results in special and urgent time pressures in relation to achieving sustainable levels of necessary revenue. Panguna could re-open within 5 to 6 years of completing negotiations. Even during mine reconstruction, the ABG would get significant tax revenue. By contrast, a new mine would probably take 15 to 30 or more years from beginning of exploration to opening. That is a long time for the ABG to wait for the necessary revenue. • the referendum timetable means that most Bougainvilleans have high . expectations that independence can be achieved soon after 2020. The second reason for giving priority to Panguna is the need for large amounts of funding to deal with mine legacy issues, such as environmental clean-up (chemicals, tailings areas etc. ), reconstruction and maintenance of Jaba River levy banks, improving the situation of re-located villages, and compensation. The most likely.way of getting the significant funding needed for legacy issues would be from the funds generated by renewed mining at Panguna. Without significant mining revenues it was expected that getting the funds needed to deal with mine legacy issues would be very difficult. At all stages the ABG has made it clear: Panguna will not reopen unless impacted landowners agree. Further, reopening must be under a completely new and fair mining agreement. Let me repeat: There will be no re-opening of Panguna without landowners’ agreement. So since 2011 the ABG has worked with Panguna-affected landowner communities and the wider Bougainville community to explore the possibilities of re-opening the mine. But the ABG takes the question of landowner agreement very seriously. As a result, we have not applied any pressure to landowners to give agreement. That is why, more than four years on, in late 2015, no negotiations have begun. There is no deal or agreement between the ABG and Rio or BCL. The ABG will never force Panguna – or any other mine – on the landowners who own the minerals. However, the Panguna landowners have also made it clear that they want BCL to clean up, to fix the problems of the relocated villages, and to pay compensation for damage. To do that, BCL will need to send in employees and contractors. At a meeting in Buka in July 2012, over 50 senior landowner leaders told a BCL representative that they wanted BCL to come back for clean-up and related work. But the landowner leaders also said that before coming, BCL had to go through a domingmita ceremony – Bel Kol. So I must emphasise here that Bel Kol is being arranged only at the request of the landowners. As a result of that request, the ABG has worked with them to try to arrange for Bel Kol. Neither BCL nor the ABG has requested Bel Kol, nor are we forcing it on anyone. • The law would have to make sure that any new mining occurs only under entirely new and fair conditions, both for mine lease landowners, and for Bougainville more generally. Most people also insisted that ownership of minerals should give them a veto over the grant of any lease needed for the re-opening of Panguna. • To provide a workable legal basis for managing small-scale mining in a way that encourages it while minimising its sometimes dangerous health and environmental impacts. The law was not made to give BCL special help. But the law did recognise ABG policy of exploring the possibility of re-opening Panguna as a way for Bougainville to get the revenue needed for autonomy or independence. It also recognised that most landowners, and other Bougainvilleans have expressed a clear preference for the ‘devil they know’, rather than a new devil. • If BCL does not satisfy the concerns of the landowners and the ABG, it will lose its Exploration Licence. It would then be possible for another developer to be considered. But once again, no exploration or development will be possible at any place in the Panguna area unless landowners agree. The Bougainville Mining Act provides much greater protection to landowners than any other mining law anywhere in the world. The ABG worked hard over several years to develop the best possible set of protections for Bougainville in the Mining Act. I ask the critics of the Act to read it carefully, and to point to any other mining law anywhere in the world that provides more protection than our law. I am confident that they will find no better law than ours. All Bougainvilleans should be proud of our new Mining Law. We should all be proud of the ABG for making a unique mining law that gives such strong protection to all Bougainvilleans. The Act continues the existing moratorium on exploration or mining in all other parts of Bougainville. That moratorium has been in place since 1971. Until March 2016, a Gazetted notice under the ABG Mining Act means no exploration licences can be issued for Bougainville. But even when that Gazetted period expires, no mining exploration licence will be possible unless the 1971 Moratorium is lifted. Under the ABG Mining Act, the BEC first decides on lifting the Moratorium. It can be lifted either for just part of Bougainville, or for the whole of Bougainville. Before a decision of BEC can be put into operation, the whole House of Representatives has to have the opportunity to debate the proposal. There could be a range of advantages in lifting the moratorium for just 2 or 3 prospective areas of Bougainville where there is already evidence that landowners would welcome exploration. This would reduce the possibilities of opposition and conflict. It would also allow the opportunity for us to see how well the administration of the new tenements system we have established under our law works for us. BCL operated the Panguna mine from 1972 to 1989. BCL is a company owned by shareholders. Although the mine is not operating, BCL still exists. It has an office in Port Moresby, and has employees there. The company still owns all the data on drilling and exploration at Panguna – important information that would be needed by any developer interested in re-opening Panguna..
BCL is 53.83 per cent owned by Rio Tinto, and 19.3 per cent owned by the PNG Government. Just under 27 per cent of BCL shares are owned by many small shareholders. The August 2014 Rio Tinto announcement of a review of its investment in BCL was a clear signal that Rio was considering ceasing its involvement in BCL and in Bougainville. If Rio does decide to sell its shares in BCL, that would have major implications for the four options on ABG mining policy developed in February 2011. We would no longer be looking at re-opening Panguna with the ‘devil we know’. A major reason why the landowners prefer the devil that they know is that a majority Rio Tinto owned BCL accepted some responsibility for the damage done by the Panguna mine. If Rio sells its BCL shares, Bougainville would be dealing with a BCL with new owners. We have no idea what responsibility that a BCL with new owners would take for past damage. There would be a wide range of issues involved. Rio Tinto is a large company with access to financial resources and the technical skills needed to re-open and operate Panguna. Without Rio involved, Panguna will only re-open if an appropriately qualified and experience new developer is willing to be involved. • Significant falls in copper and gold prices since BCL did their 2012 study mean that re-opening the mine is now much less economically viable than it was in 2012.
o increasing interference by various outside economic interests in efforts to make decisions on Panguna’s future. Such factors are likely to influence Rio Tinto in making its decisions about the future of its investment in BCL. If Rio does decide to withdraw from BCL, we can expect that other responsible investors will have to take a similar approach. So the possibility of re-opening Panguna is now much less certain than it was in 2011. In fact the ABG’s assessment now is that it’s quite likely that the Panguna mine will not re-open in the foreseeable future. It is therefore vital that the ABG is ready for what happens if Rio Tinto does decide to end its investment in BCL. The most important priority then will be to make sure that Rio Tinto takes responsibility for the damage done by the Panguna mine. While Rio and BCL operated under the law that applied in the 1960s, 1970s and 1980s, looking back now, we can see clearly that in their ignorance, the Governments of those periods, together with Rio and BCL, allowed terrible injustices to occur in Bougainville. In addition, there was never any mine closure done when BCL hurriedly exited in 1989-90. Rio also made very significant profits through BCL. Indeed. BCL used to be described as the jewel in Rio’s crown. In all these circumstances, if Rio decides to withdraw from BCL, they must take steps to do a proper mine closure. They must remedy the injustices done. Rio Tinto must be held accountable. It cannot be allowed to walk away with a payment for its shares, while refusing to take responsibility for the damage it caused in Bougainville. From January 2014, when Prime Minister O’Neill unexpectedly visited Bougainville, he has talked about the National Government buying Rio’s shares in BCL. He has discussed the proposal with many different people. Last year, he pushed the idea strongly to the Me’ekamui Government of Unity leaders. He even took them to Moresby to discuss the possibility. This year, the Prime Minister has several times discussed the proposal with me. He proposes that if the ABG and landowners agree, a PNG-owned BCL would re-open Panguna. It would be owned by the PNG government in the same way it owns and runs Ok Tedi. The Government would allocate 30 per cent of the shares to landowners and the ABG. The Prime Minister has not advised who he thinks a new developer might be. • if Rio does not first make payment for a clean up, then the PNG owned BCL would inherit the previously Rio Tinto owned BCL’s liabilities for clean up. Landowners and the ABG would then be trying to pressure PNG on mine legacy issues. That would be a recipe for conflict between Bougainville and the National Government. What is the ABG’s Position on the PNG Proposals? o it must also make full provision for legacy issues (environmental clean-up etc.). I had hoped that the Prime Minister was listening, and taking the ABG’s concerns seriously. • No agreement had been reached to sell Rio’s BCL shares to PNG. • BCL must establish a large trust fund to pay for clean up of environmental and other damage. The Rio officials agreed that if Rio decides to dispose of its shares in BCL, they would negotiate such matters with the ABG. On my return to Bougainville, I wrote to Rio confirming these points. I have not previously made any public statement about these talks with Rio Tinto, because of the sensitivity of the issues involved. I am doing so now because some aspects of the National Government’s attempts to buy Rio’s shares have become public. As usual accusations are being made. Some Bougainvilleans are already saying that the ABG and the National Government are entering into a joint agreement to allow National Government control of Panguna. The people of Bougainville must now be assured: The ABG has made no deal with PNG. We have made no deal with Rio, and no deal with BCL. Instead, we are putting a strong Bougainville position to both PNG and Rio that environmental clean up is now the key issue, and that if there is any transfer of Rio’s shares, it must be to Bougainville. Mr. Speaker, the minerals in Bougainville belong to Bougainvilleans. Our blood has been shed over those Panguna minerals. Yet PNG wants to buy Rio shares so that it can own Panguna and its minerals. Then it says it will give us back just 30 per cent of what we own. How can they possibly think that they are being generous by giving us a minority percentage in what we all know already belongs to us? In October 2015, I met the Prime Minister. I made the same points about Rio’s BCL shares coming to Bougainville, and the need for a trust fund (for clean-up) to be set up by Rio. I said PNG should only talk to Rio about these matters jointly with the ABG. I believed that the Prime Minister agreed with what I proposed. I was very surprised in the first week of December 2015 when I received messages through the Bougainville Chief Secretary’s office that Mr. Micah, PNG Minister for Public Enterprise, wanted to see me urgently, to discuss National Government purchase of Rio’s shares in BCL. He would be accompanied by MP for Central Bougainville, and PNG Minister for Communications, Mr. Jimmy Miringtoro. I was advised that a decision from the ABG and landowner leaders was needed very urgently by Monday 7 December. If not, then Rio might sell its shares to someone else! I was told Mr. Micah wanted to discuss the issues with me, and that Mr. Miringtoro would discuss the issues with landowner leaders. Amongst many concerns I had about this news was that it suggested that Rio Tinto had ignored what they agreed with me in July. They had agreed with me then that if they decide to dispose of Rio shares in BCL, they would discuss the consequential issues with the ABG. So on 4th December 2015 I wrote to Rio asking whether they had completed their review of their investment in BCL. I did not receive a reply until 12 December. In the meantime, on Sunday 6 December 2015, Mr. Micah and Mr. Miringtoro met me and other ABG ministers in Kokopo, East New Britain. They put to me their proposals that PNG purchase the Rio Shares in BCL. Then on Monday 7 December, Prime Minister O’Neill put much the same proposals to me. • The Prime Minister proposed that the ABG and landowners jointly reach agreement with the National Government on the issues involved, and then hold joint talks with Rio Tinto in Singapore before Christmas 2015. It seemed very strange that PNG would pay US$100 million at a time when the National Budget is in deep trouble, and then leave it to Bougainville to decide if the mine could re-open. I also wondered if PNG might be thinking that Panguna is the most likely source of revenue for Bougainville’s independence, and so might want to keep as much control of Panguna as possible. On 9 December 2015 the Prime Minister’s Chief of Staff contacted me to advise that the Prime Minister wanted me to join him in leading a joint PNG/ABG team to travel to Singapore on 17 December to meet Rio Tinto officials to discuss PNG purchasing the Rio shares in BCL. • There would be serious dangers of conflict between PNG and Bougainville if PNG becomes the main BCL shareholder without environmental and other legacy issues being dealt with – the ABG and landowners would then need to press PNG for action on legacy issues. On 12 December, I received a letter from Rio Tinto (answering my letter to them of 4 December). It advised that Rio had not completed its review of its investment in BCL. As a result, it seems clear to me that it is most unlikely that there is any urgency in relation to PNG purchase of Rio’s shares in BCL. The obvious question that then arises is why Mr. Micah and the Prime Minister were stressing how urgent this proposed transaction was. • Before there is any engagement with Rio, the ABG and the National Government need to discuss and reach agreement on the ABG’s proposals. I have as yet received no reply from the Prime Minister to my letter. In my letter to the PM, I emphasised the strong protection of the ABG’s position. That protection comes from special provisions included in the Bougainville Mining Act. This is just one of the many unusual protections for Bougainville interests that we carefully built into that Law. The special provisions means that the ABG can prevent a PNG owned BCL from taking control of BCL’s current Exploration Licence over the former SML. “I must also emphasise two points concerning the effect of the Bougainville Mining Act 2015. The first is that under section 367 of the Act, BCL now holds nothing other than an Exploration Licence over the area of its former Special Mining Licence at Panguna. That Licence is taken to have been granted on 8 September 2014, and has a term of 2 years. The second point is that section 112 provides that where 25 per cent or more of the shares of a company holding an Exploration Licence are transferred or otherwise dealt with within 24 months of the licence being granted, the Secretary to the ABG Mining Department must initiate action for cancellation of the licence. I am determined to protect the interests of Bougainville in relation to Panguna, which involve such deep concerns for Bougainville. The war in Bougainville started with mining. We must avoid new conflict over mining. I ask all Bougainvilleans to support the ABG. I ask the ABG’s critics to examine the ABG Mining Law, and to consider carefully the ABG’ actions and policies. I cannot claim that the ABG policy on mining is perfect. But in developing and implementing that law, the ABG is not working to help BCL, or Rio Tinto, or Australia, or Satan. There are grave dangers here. There are people deliberately seeking to cause divisions in Bougainville over mining. I have mentioned outsiders with their own economic interests. I have mentioned people with twisted and unrealistic religious and political views. Some of these are Bougainvilleans, and some are also outsiders. We must be very careful in evaluating the many claims that are being made. We must not allow outsiders, or people with narrow and unrealistic philosophies, to cause divisions amongst us. Back in the 1960s I stood with the people and opposed Rio Tinto, and opposed the colonial government in the way it dealt with mining. The ABG under my leadership will never sell out Bougainville. There will be no special deals with RIO, BCL, or any other mining company. No – the ABG will continue to work to guard the interests of all Bougainvilleans. I ask all of our people to support our efforts. 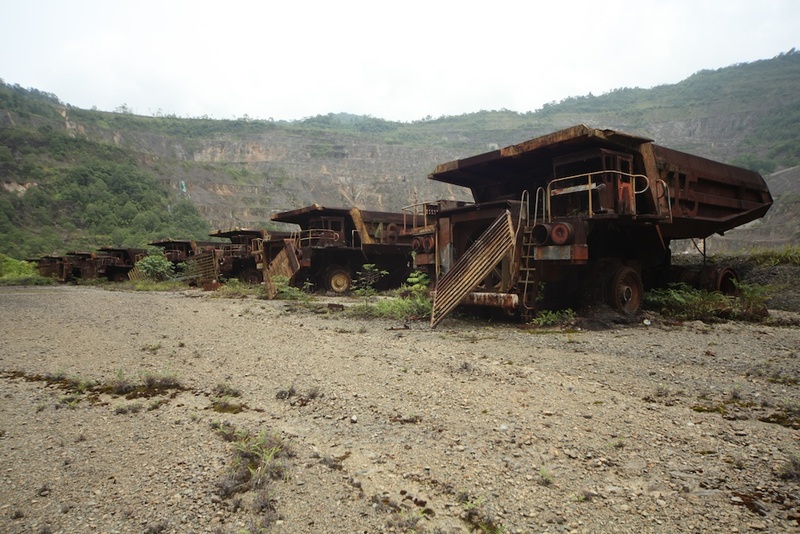 The PNG Attitude blog reports that the PNG government is looking to purchase Rio Tinto’s stake in Bougainville Copper Limited. Dr Kristian Lasslett, in a reply on the website, argues there is no business case to justify the PNG and Bougainville government’s optimistic outlook for industrial scale mining. Realistically – not always a popular vantage point – what does a 53.83% stake in BCL give the investor [potentially the PNG government – MW], in terms of expected future revenues? BCL has certain amounts of capital reserves, but clearly no one would buy out the Rio stake with a view to enjoying the interest accrued from these reserves. Presumably, they would expect to have a stake in revenues generated by a new large-scale mining operation. Panguna is an exceedingly dim prospect. Despite the ongoing efforts to pump this project [going back eight years! – MW], there is wide spread opposition on the ground – if all was as rosy as the constant stream of press releases suggest, surely we would see the first signs of BCL vehicles rumbling along the old pit for prefatory work, to the waves and smiles of surrounding villagers, excited by the journey ahead. Another key issue. The commercial complexity of obtaining finance, insurance, etc, in a post-conflict environment where large-scale mining is a big bone of contention would be extremely challenging, to say the least. They could bring on the Chinese investors. Certainly they have been looking around Bougainville for prospects – and we have seen Chinese take stakes in other natural resource developments, especially in Madang Province. But if landowners were resolutely opposed to BCL’s return, add a few more layers of exclamation marks, were this to be done under Chinese auspices. Chinese investors would be doing their due diligence in this respect – at least one would hope. If PNG are really considering this purchase, then either they have drunk the PR Kool-aid on Panguna, or alternatively, perhaps the company is in the running to acquire other industrial scale mines on Bougainville? You could perhaps forgive PNG in either case for being overly optimistic, given the Autonomous Bougainville Government (ABG) itself has been at times euphorically pumping the potential of large-scale mining on Bougainville, primarily Panguna, without presenting a serious business case to justify its predictions. Meanwhile, the governing apparatus on Bougainville is being rotted with grand corruption (!! ), really jaw dropping graft is going on, with impunity – and honest civil servants are frustrated. Those seriously attempting to build local industries are receiving little assistance. The independence referendum is an unescapable date with reality. A yes vote in particular will force the ABG to account to the people of Bougainville, for what has happened to all the grant and aid money pumped into the island, and for the bold policy prognoses that have guided its future planning. At some stage people’s charitable inclinations will run dry and the question will be asked of the ABG, ‘account to us, like any government’. And given some of the companies who are the recipient of government largesse this could get very awkward indeed. If the people of Bougainville ask the ABG to facilitate a transition to independence, only to find the state edifice is hollow, or worse still, venal, there will be real despair. Accordingly critical questions now, are a friend for a better tomorrow. More need to be asked. The Papua New Guinea government has recently spent K10 million on developing a coal mining industry in the country while telling the United Nations climate conference in Paris it is committed to a renewable energy. As well as pursuing new coal mines the PNG government is also being heavily lobbied by Australian company Mayor resources to invest in new coal powered electricity generation in the major centres of Port Moresby, Lae and Madang and is working with international companies Waterford and Pacific Mining on coal exploration in Gulf Province. None of this is mentioned in the PNG governments statement of its intended contribution to global efforts to reduce greenhouse gas emissions. According to PNG’s ‘Intended Nationally Determined Contribution (INDC)’ the country will make “a big effort” to reduce fossil fuel emissions by transitioning as far as possible to renewable energy with a target of 100% renewable energy by 2030.